The Cross Country season will soon begin! Returning and new team members, and those who are just interested in finding out more about the Flying Dragons, should attend our first week of practices. Come even if you think you may not have everything needed to get started. We meet before 9:00am each weekday morning starting August 18th for two weeks. 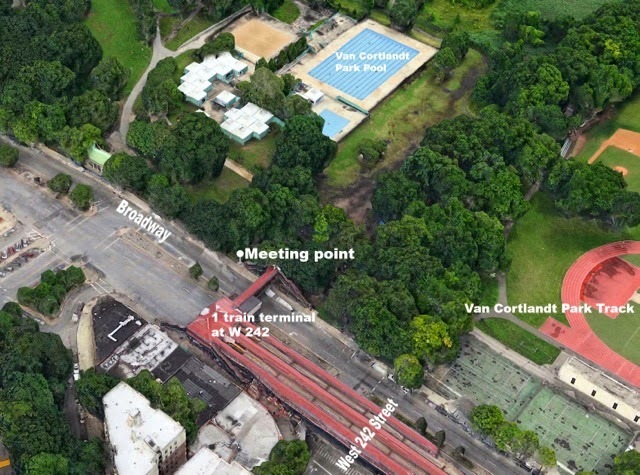 You will find us in the Bronx at the south end of Van Cortlandt Park along Broadway, right next to the 1 train terminal at W 242. Below is a map of our meeting place. Be early - we leave at 9:00am!